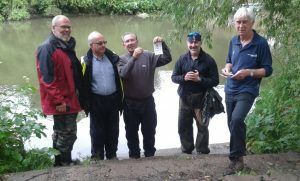 Our Bristol Avon WaterBlitz is run annually to assess the health of the rivers and the streams within the catchment. As part of the WaterBlitz, participants test the water quality by taking samples to find out the levels of nitrate and phosphate in their chosen river or stream. This year’s Bristol Avon WaterBlitz was run between the 23rd-29th of June 2018. 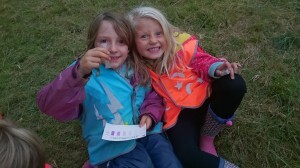 The event engaged with over 260 participants to take 120 samples within the Bristol Avon catchment. The WaterBlitz uses these results to assess the levels of excess nutrients in the rivers/streams in the catchment. Nitrate and phosphate occur naturally in rivers and are nutrients for plants and essential for wildlife. Excessive amounts of these nutrients may cause toxic algal blooms which harms aquatic insects and fish by decreasing oxygen levels and increases the cost of treating drinking water. This year’s results shows that there is an increase in phosphate from last year, with 0.1mg/l, with an average of 0.16mg/l which is slightly above the agreed levels for a healthy river. However, nitrate levels have decreased with an average of 3.1mg/l compared to last year’s 4.2mg/l. Nitrate has no official standard for levels in rivers/streams. To see more results please see the Interactive Results Map here. Thanks to the Bristol Avon Catchment Partnership for funding this project this year. We are already on the lookout for funding to run this important research project again next year so if you are a business or individual who could help, do get in touch!